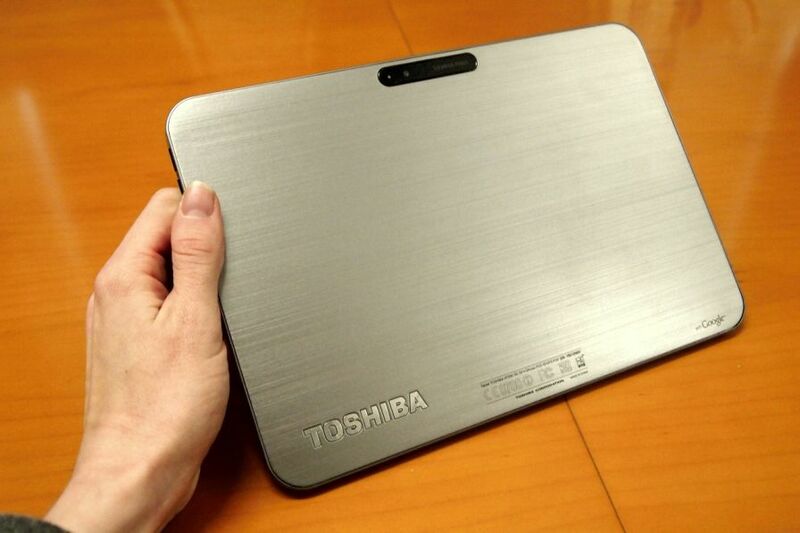 Toshiba hasn't been too involved in the Android tablet world, save for the launch of their Thrive last year. It looks as if they're aiming to change that in 2012, and they're starting it off with a bang. 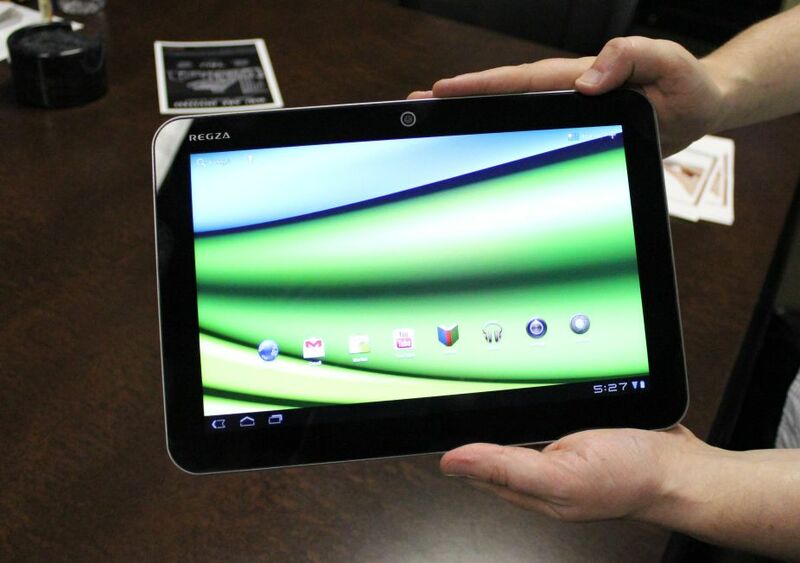 Meet the Toshiba Excite X10, the latest in gorgeous Android tablets. 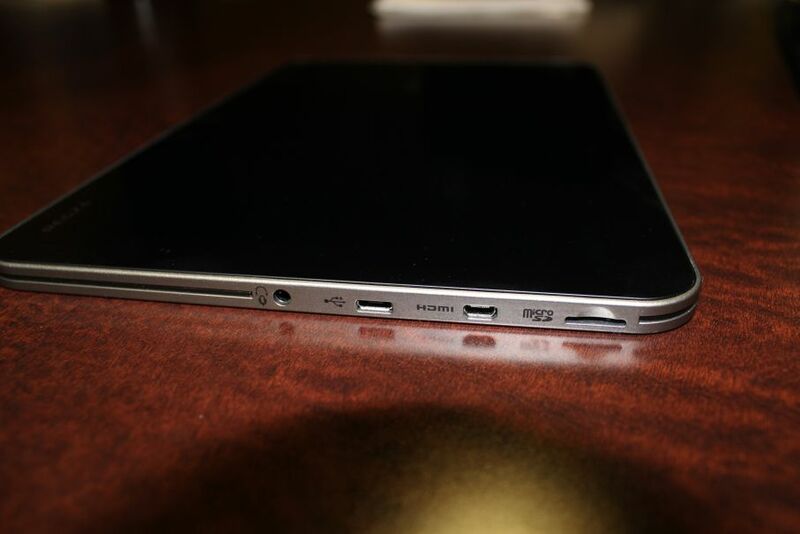 Once we get past the brushed aluminum back and incredibly thin (just 7.7mm) profile, the Excite is packing a TI OMAP 4430 dual-core 1.2GHz processor, Ice Cream Sandwich (although it appears to be running stock Honeycomb in the photos), a wide 10.1-inch 1280 x 800 Gorilla Glass display, a 5MP rear camera, 2MP front-facing shooter, stereo speakers, Micro HDMI and Micro SD card ports, and it clocks in at just 1.2 pounds. Impressive enough? Now, according to Toshiba, the tablet will ship sometime in Q1, which means you won't have to wait too long to get your hands on one. The 16GB model will run you $529, while the 32GB version will cost $599. Toshiba didn't forget their faithful Thrive users, though. They've also announced that an HSPA+ Thrive (the original, 10.1-inch Thrive) will be available soon. It'll cost an additional $80 for the 16GB 4G Thrive, but perhaps that's a worthy price to pay for always staying connected. The Excite X10 is sure to be a powerhouse, and AndroidGuys will be going hands-on with it at CES, so stay tuned for more coverage on this amazing tablet. With that being said, are you excited about the Excite? What do you hope to see from CES this year? Sound off in the comments!